Olympiacos has taken the decision to not activate the option on D.J. Strawberry’s contract for the upcoming season. Thus the player is becoming a free agent. 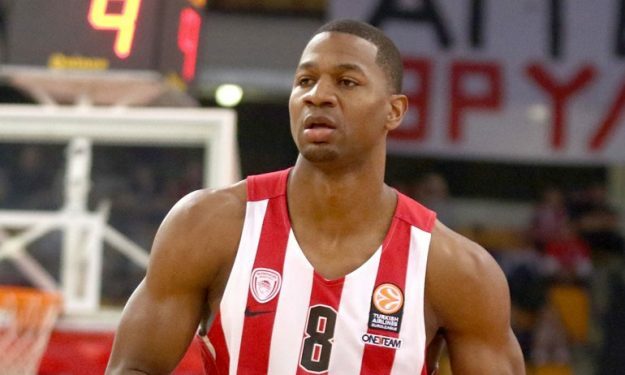 Olympiacos has taken the decision to not activate the option on D.J. Strawberry‘s contract for the upcoming season. Thus the player is becoming a free agent. Even though it took sometime to Strawberry to adapt in Olympiacos‘ game, his contribution has been appreciated by coach Giannis Sfairopoulos. However Olympiacos has decided to invest in the trio of Kostas Papanikolaou, Ioannis Papapetrou and Matt Lojeski for this position. Also, Strawberry fills a spot of a foreign player in the roster, so he will leave the team. He has been already informed about it and is now searching for his new destination. Olympiacos has also decided to not renew the contract of Hakim Warrick for the upcoming season.